What Do Multiple Offers Mean On Your Nashville Home? There’s no one “right” strategy for handling multiple offers. Ultimately, the decision is yours—although your real estate professional will certainly offer insights and advice. Accept the highest bid and reject the rest. This seems straightforward, but be wary: In Denver, one of the nation’s hottest housing markets, an astonishing one-fifth of offers are falling through before closing. According to the Denver Post, sellers are “irritated by the growing number of buyers who make high offers to lock in a property and then try to find ways to back out.” So while a bid way over your asking price may seem tempting, don’t skip due diligence on your prospective buyer. Ask all potential buyers for their best offer. Going back to bidders for a second offer will weed out the less serious and can result in a higher selling price. But don’t let dollar signs blur your vision—this method may turn off too many of your prospective bidders, sending you and your agent scrambling to lock down a solid offer. Counter one offer, and sideline or reject the others. This method allows you to focus on the most serious or worthy bidders. Perhaps you’re eager to sell your home to a family, not a flipper, but you can’t justify their lowball offer. Countering gives them an opportunity to raise their price, giving you a fairer deal. In most competitive bidding situations, an all-cash offer should leap to the front of the line. But for all offers, cash or otherwise, make sure to review the proposed terms. An all-cash offer might come with unacceptable contingencies, which would make a buyer with a loan a better deal. Contingencies: While it’s generally a smart idea for the buyer to include contingencies in their contract, they create more opportunities for offers to fall through. If the buyers include a contingency for their home to sell, or if their offer hinges on mortgage approval, it might be worth skipping. Pre-approval: Buyers already pre-approved for a mortgage are almost (almost!) as good as cash. While pre-approvals do fall through, it’s much less risky than relying on a mortgage contingency. 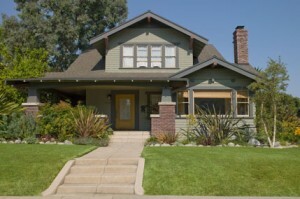 Appraisal requirements: In a hot market, appraisal contingencies can be a headache. Mortgage companies may not be willing to lend the difference if an appraisal comes in below the purchase price. Unless the buyer is willing to make up the difference out of pocket, your sale may fall through. Closing time: Does the buyer want to close in a month—or three months? When you’re weighing multiple offers, pick one with a time frame that best lines up with your own schedule. It feels great to be selling a popular home. Multiple offers can be exciting, but just like any other sale, they require careful consideration before you seal the deal.